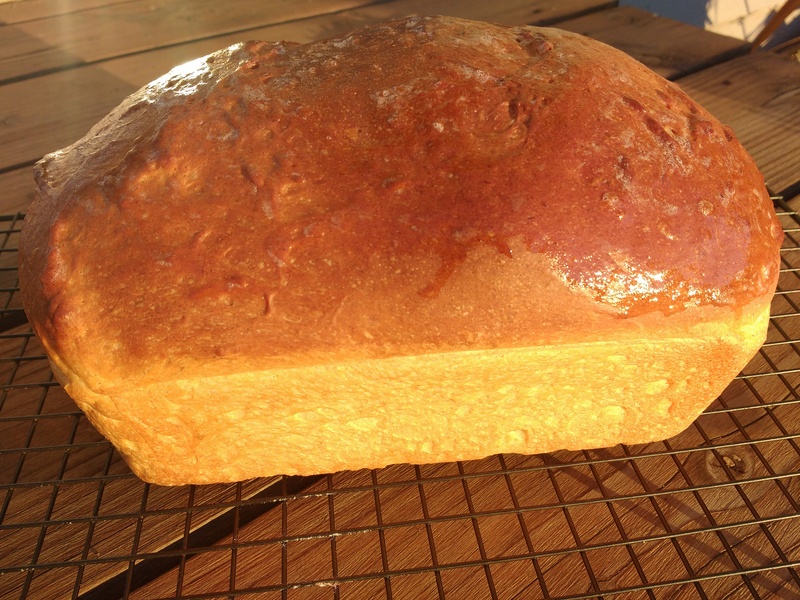 Few things are more comforting than the homey scents of baking bread on a lovely autumn afternoon. Especially when one is down with a hideous “viral bug that’s going around”. Even if one has to do the darn baking herself. With a slashed up finger from one’s new Ninja blender a few nights before. “Neither snow nor rain nor heat nor gloom of night stays these couriers from the swift completion of their appointed rounds”… The US Postal Service or Alpha Bakers, I feel the creed’s sentiments sum us up precisely. 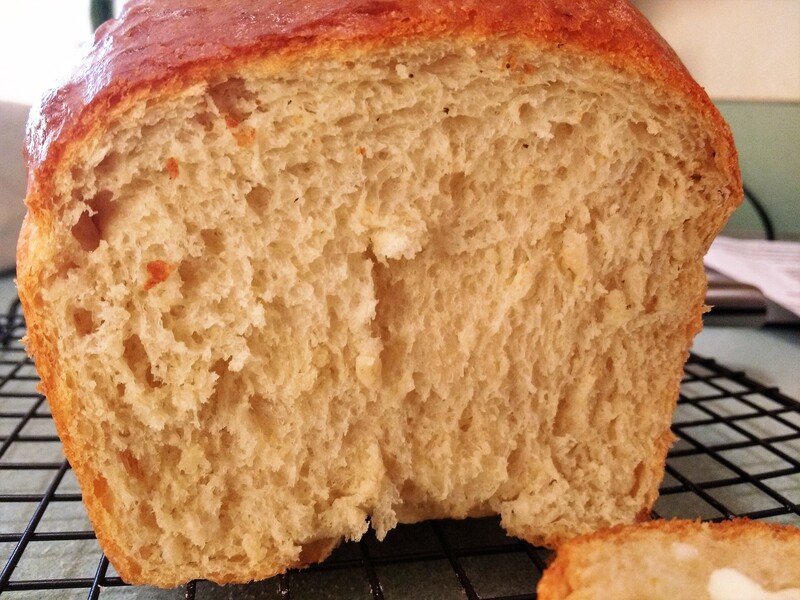 This month’s bread, Rose’s Banana Feather Loaf, immediately made me think of the sweet, tea-bread variety. Spoiler alert: It isn’t. Instead, the loaf is a fairy-light, sandwich-loaf like bread with a golden top and delicate flavor. 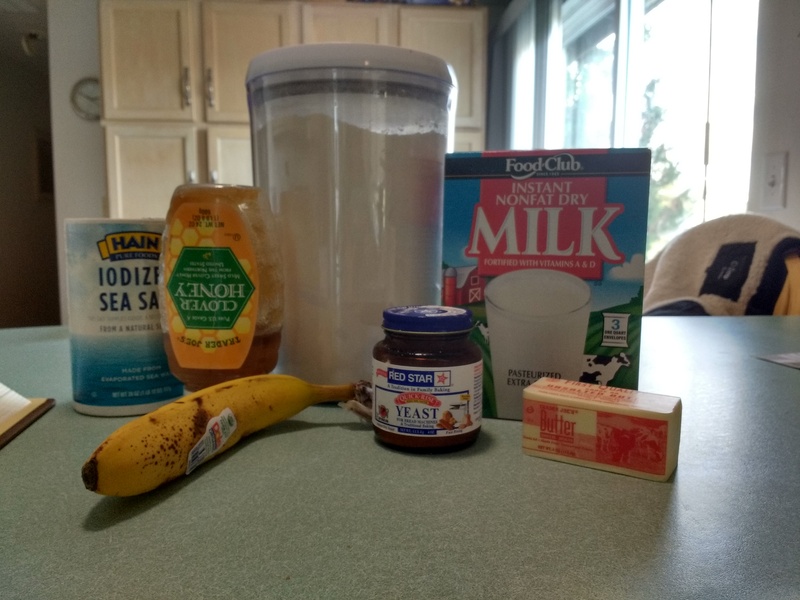 The secret in this bread (I think) is the powdered non-fat milk and mushed banana. The riper the banana, the more pungent the flavor. Unfortunately for me, Baby Sous Chef has started on solid foods and her favorite is mushy banana. Our inventory gets depleted rapidly, so I didn’t have quiet enough ripe bananas and had to supplement with some adquately-ripe ones. Keeping Calm and Banana-ing On, I soldiered on. Baby Sous Chef kept me company in her little Sassy Seat, banging merrily away on the counter with her measuring cups. 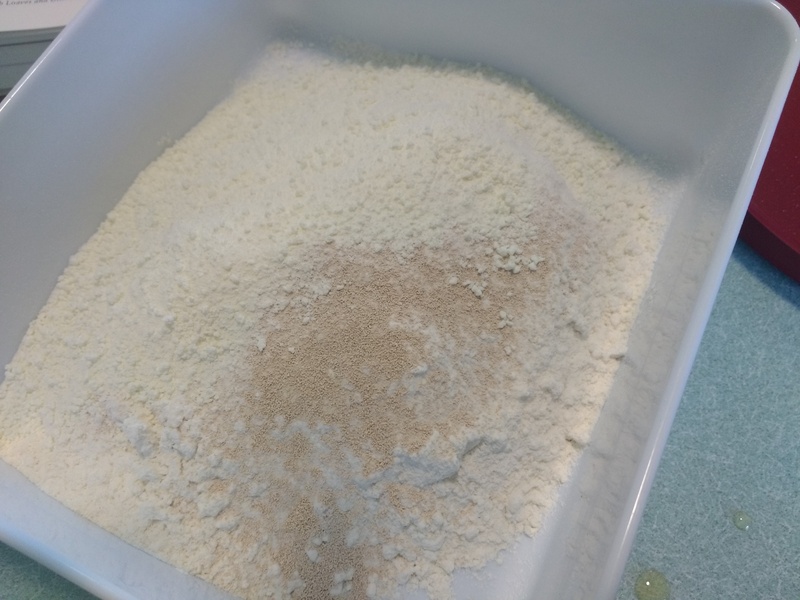 Once again a simple mis en place and quickly done mix of the starter dough and flour blanket. 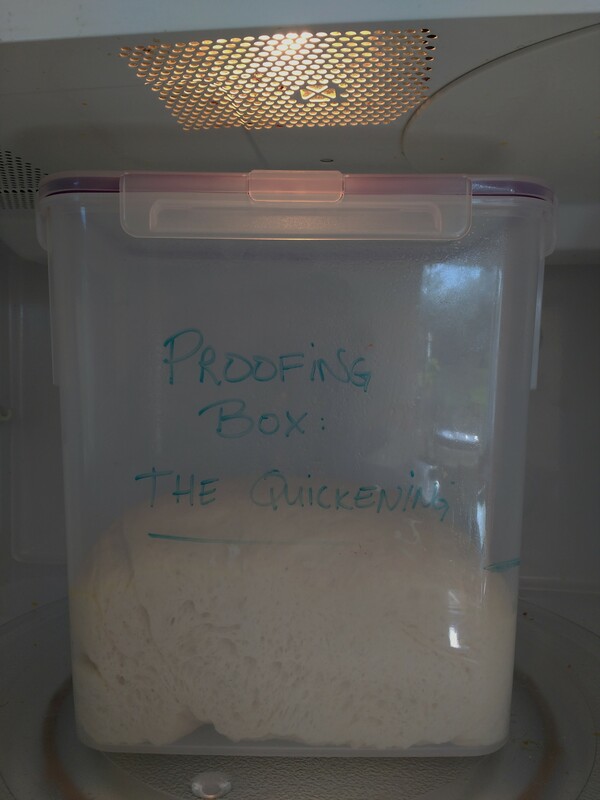 Out came the proofing box and as I was placing my dough for its first rising, I realized that I was feeling very confident and comforted by the routine. Even with all my bloaty-head and swollen finger problems, I was in my bread-making groove. 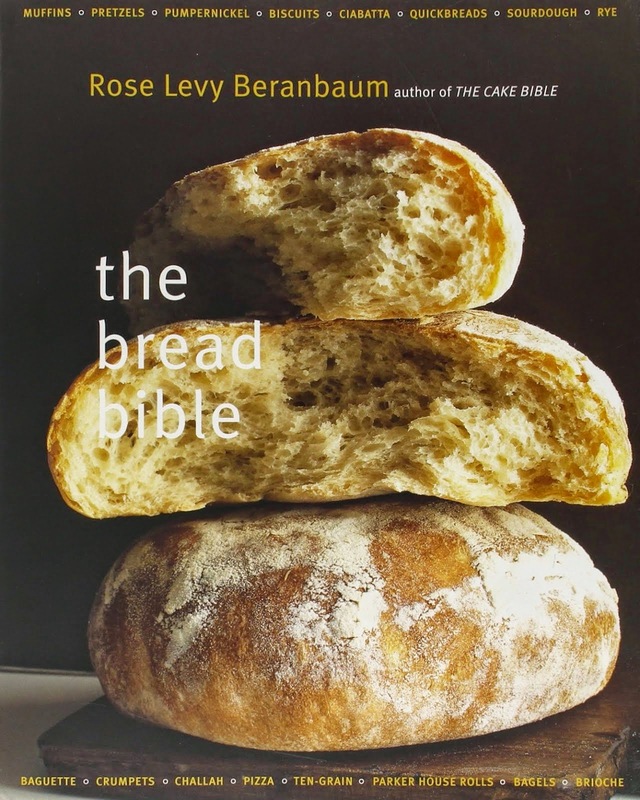 I think that’s what I like most about these recipes from the Bread Bible. There’s a routine, a linear and organized order to them that appeals to my need-for-order soul. I already had my tin-foil boat in the oven for the ice cubes, and I can quickly eye-ball the double mark for the proofing box! How far we (read: me) has come on this journey so far! 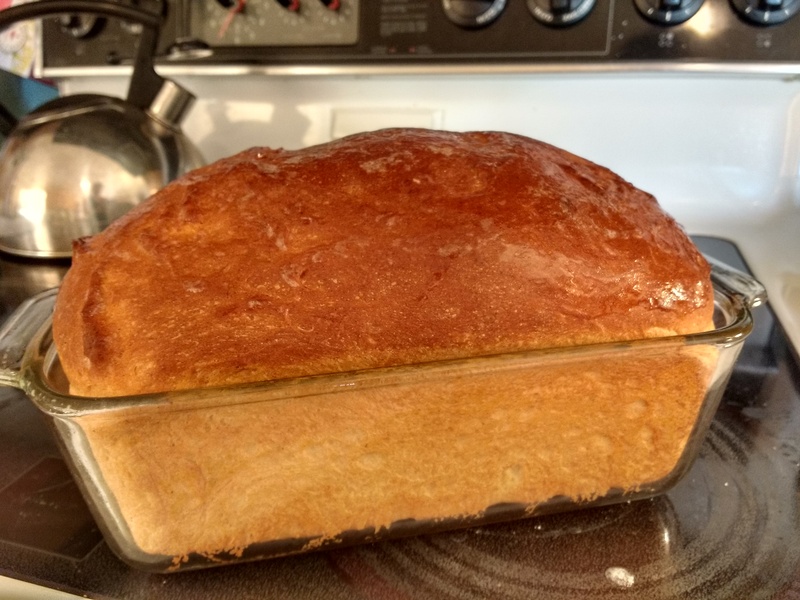 This was also the first time I’ve made bread in a loaf pan. I was worried because the only one we have on hand is a pyrex, but my ever-patient husband assured me that if I accidentally exploded the pan in the oven that the world wouldn’t stop spinning. With visions of projectile-pyrex and bread-dough dancing in my head, I completed all the risings (again, this was the hardest part just because patience is not one of my virtues). 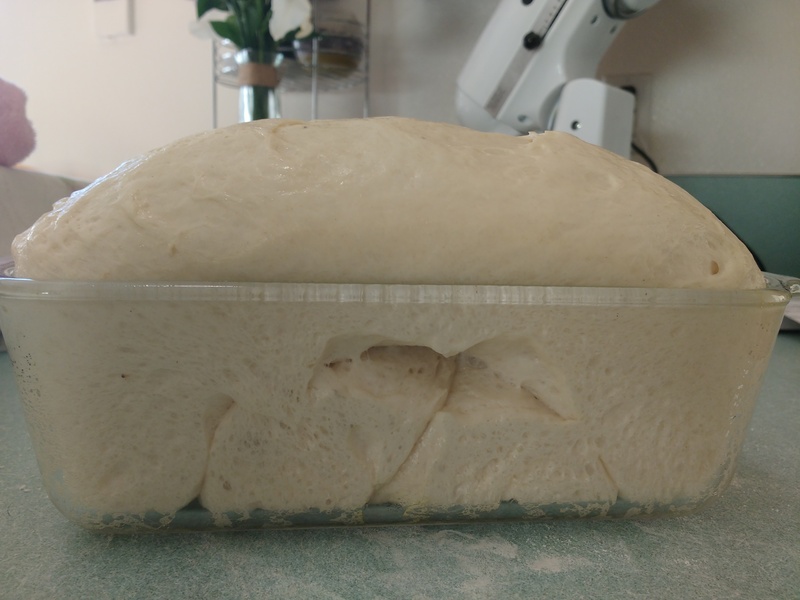 I loved the way this dough grew light and airy from such a tiny little start (I thought I had forgotten some ingredients and double-checked – the first dough mixup seemed to small!). I wouldn’t have imagined that it would be so huge by the end. Into the oven it went – sans explosion. 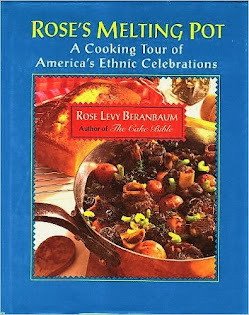 I did lower the temperature 25 degrees for the pyrex, and another 25 degrees because my oven consistently runs hotter than what the book anticipates. Even before the final timer beeped at me, this amazing little creation was waiting for me. Oh my goodness, I love this bread on Day 1. It was light and golden and everything I could want out of a bread loaf. The banana flavor was very subtle, not at all overpowering. It was great as toast, or topped with peanut butter, strawberry jam, and of course some sliced banana. Canine Sous Chef was going out of his doggy mind at the scent, bouncing around like a flea trying to get even the tiniest crumb. The next day we devoured the leftovers in the form of airy and decadent french toast, topped with more banana.